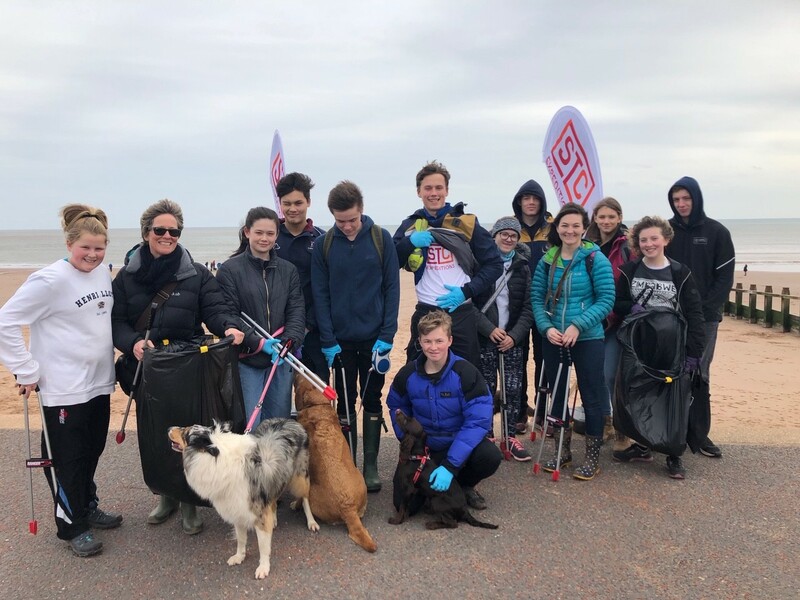 Pupils from Exeter School have been busy tackling the problem of marine litter on our beaches by taking part in a Beach Clean event organised by STC Expeditions – an ethical school expedition company based in Exeter. The Beach Clean took place on Saturday 9th March 2019 and was organised as part of the Marine Conservation Society’s (MCS) national Beachwatch project. The data will help MCS identify the main sources of litter at Dawlish Warren and keep the issue of the dangers of marine litter high on the local agenda. The group of Year 11 and 12 pupils from Exeter School collected a total of eight bin bags, with the top items found on the day identified as nets from commercial shipping vessels and pieces of microplastics and polystyrene. Other items of note included a tyre and a variety of metal wire.